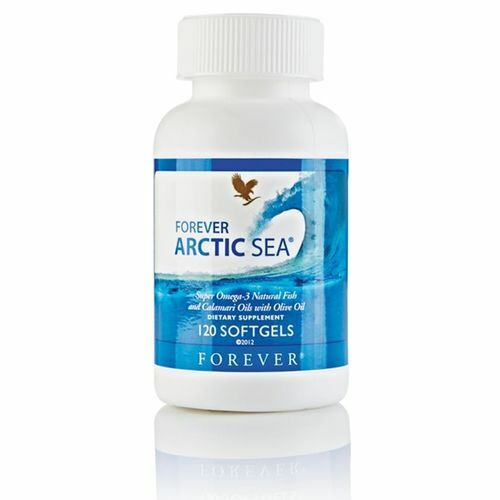 New and Ιmproved Forever Arctic Sea® now contains a proprietary blend of DHA-rich Calamari Oil, ultra-pure Omega-3 Fish Oil and High Oleic Olive Oil. New and Ιmproved Forever Arctic Sea® now contains a proprietary blend of DHA-rich Calamari Oil, ultra-pure Omega-3 Fish Oil and High Oleic Olive Oil. This unique blend is exclusive to Forever Living and provides not only 33% more DHA per day, but creates the perfect balance of DHA and EPA for optimal health and wellness. * The statements contained here in have not been evaluated by the FDA. The products discussed are not intended to diagnose, treat, cure or prevent a specific disease or class of diseases. You should consult your family physician if you are experiencing a medical problem.